If you are a wage-earning employee, it is necessary to properly calculate your withholding and compare it to the amount retained from your paycheck to satisfy federal income tax obligations. This will prevent you from receiving an excessive tax refund or owing the Internal Revenue Service (IRS) for underpayment at the end of the year. The IRS offers more than one option for calculating withholding. When starting a new job, employees are required to complete Form W-4 (Employee's Withholding Allowance Certificate) to determine how much tax their employer needs to withhold in federal income taxes from each paycheck. If completed properly, it will prevent the employer from withholding the incorrect amount. Before using the Withholding Calculator, you will need to have your most recent pay stub and tax return handy. You will be prompted to enter data in four sections based on the information you have on file. Once all requested information is analyzed, a chart containing your inputs and the estimated tax liability will appear. Follow the instructions listed below to calculate federal withholding using the percentage method. Step 1- Refer to your Form W-4 to determine your filing status and how many personal allowances you are claiming. Step 2- Locate the amount of gross pay on your pay stub. Step 3- Use IRS Publication 15 (see Tax Tables) to locate your tax liability. To do this, locate your taxable income range in the first column. Once you have identified this number, locate your filing status and number of allowances at the top of the page to view the federal income tax liability. Here is an example. Assume that an employee's filing status is Married Filing Jointly and she is claiming three allowances. If her biweekly gross pay is $1,300 after pre-tax deductions (such as medical benefits) and she contributes $100 to a 403b plan, the taxable income is $1,200. As a result, her biweekly tax liability is $44. To calculate your gross pay without a pay stub, determine your weekly or biweekly pay. Once you have computed this number, subtract Social Security and Medicare contributions of 6.2% and 1.45%, respectively to generate gross pay needed to calculate withholding using both methods. 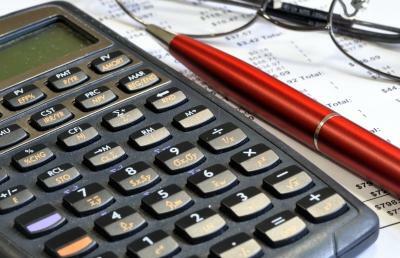 If the withholding figure you come up with using either the federal calculator or percentage method is substantially larger or smaller than what your paycheck reflects, you may need to make adjustments to Form W-4. This will ensure that you do not owe at tax time. In addition, be sure to review your withholding at the beginning of each year or when circumstances arise that may alter your tax situation. In the event that you have additional questions or concerns about federal income tax withholding, contact your tax professional for guidance.